With the Denver Nuggets season set to begin in Los Angeles against the Clippers on October 17th, the scribes at Mile High Sports got together to give our expectations for the 2018-19 season. What’s the best-case scenario for the Nuggets next season? T.J. McBride: When talking specifically about the best-case scenario for the Nuggets, their ceiling is actually higher than one would think. This is a young Nuggets team that managed to win 46 games last year when missing Paul Millsap for 44 games and Gary Harris for 11 of the final 13 games of the season. Who is to say that, if healthy, the Nuggets couldn’t find a way to win upwards of 53 games and grab home-court advantage in the Western Conference playoffs? A combination of internal growth, staying healthy, and a newfound determination after missing the playoffs by a singe game in back to back years could be what allows the Nuggets to take a massive step forward — if everything goes perfectly. Dev Johnson:The best-case scenario for the Nuggets is a simple answer: make the playoffs. 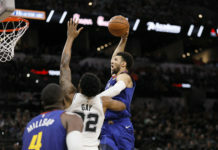 Denver has been trying to find a way to get back to the playoffs for five-straight seasons and, if Denver can return to the postseason in the brutal Western Conference, it will show that they have turned a corner as a franchise. The Nuggets have been interesting for the past few years and they will have plenty of fans watching them, but this year the Nuggets will have high expectations so making the playoffs is the next step towards becoming the team that could possibly enter the mix of contending teams in the near future. Brandon Ewing: Best case scenario for the Nuggets is obviously to make the playoffs. For a franchise desperate to make it back to the postseason, they certainly have a strong shot next season, but will the they be able too live up to high expectations? 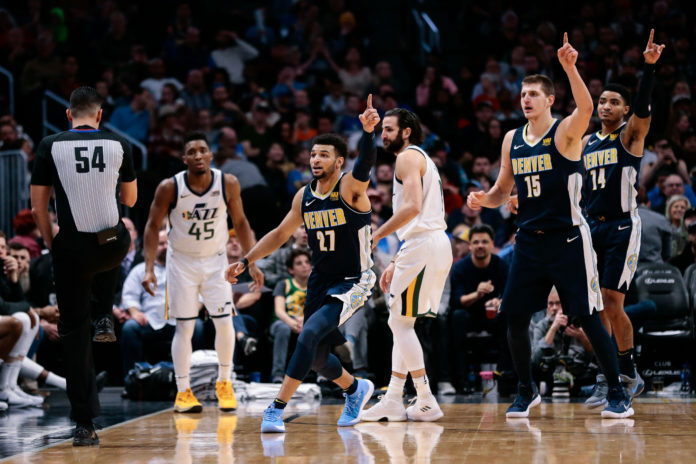 With franchise cornerstones set in place like Nikola Jokic, Gary Harris, and Jamal Murray, the time is now for one of the Western Conference’s up and coming teams. After missing the playoffs by one game each of the last two seasons, next year has to be the year Denver finally gets over that hump and makes it back to the promised land. Going into Michael Malone’s fourth season as the Nuggets head coach, next season isn’t just playoffs or bust for the franchise, but for the man in charge as well. The foundation is finally set in stone for the Nuggets culture change to flourish. Malone and President of Basketball Operations Tim Connelly have the players in place that they want to be apart of this franchise for the long term. Now those players have to go out there and make the playoffs next season. What’s the worst case scenario for Denver next season? T.J. McBride: While Denver’s ceiling is high, their floor is also quite low and that has nothing to do with the talent on the team. While Denver could win as many as 53 games next season, they could also fall to somewhere around 40 wins if things go terribly wrong. The biggest reason for Denver’s worst-case scenario being so potentially disastrous is because of how many things could fall apart abruptly. The Western Conference is a brutal gauntlet of death, Michael Malone is coaching on the final year of his contract, the team is still very young, and they play in the toughest division in basketball. Oh, and in addition to all of that, every single team in the Western Conference has managed to improve in some capacity. All of those factors combined with bad luck with injuries and regression from any of the Nuggets young core could lead to the season quickly spiraling out of control. Dev Johnson:The worst-case scenario is having another long year full of injuries. Denver had multiple players miss plenty of time due to injures including their biggest free agent in team history, Paul Millsap, who missed 44 games. 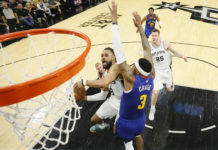 Nobody can say what would have actually happened if Millsap had not missed so much time, but one thing is for certain; they would have had at least two more wins, which is all the team needed to make the playoffs. Missing the playoffs for a sixth straight season, especially with expectations so high, would be the worst-case scenario for Denver. It would put Malone in a bind being that this is the first ‘playoff-or-bust’ season since he has been in Denver. The front office has made offseason moves to put the Nuggets in position to make the playoffs and put big money into players such as Gary Harris, Nikola Jokic, Millsap, and Barton. They also drafted Michael Porter Jr. while also taking a flier on Isaiah Thomas. Those moves show the type of confidence that the front office and ownership has in this team. There is a ton riding on this season and, with all things considered, this should be the year that things turn around. If they fail to improve, there will likely be repercussions. Brandon Ewing: The worst-case scenario would be missing out on the playoffs for the sixth-straight season. Like we talked about in the prior question, next year is a ‘playoff-or-bust’ season, and the worst thing that could possibly happen is finishing outside the top-eight in the Western Conference when April rolls around. In order to make the playoffs, Denver’s going to need Jokic, Harris, Murray, and Paul Millsap to be healthy for most of the season. After missing over half of last season with a wrist injury, having Millsap back for a full 82 game slate will be critical in the Nuggets playoff chances. Consistent development is another factor that’ll play a huge role with the Nuggets next season. Continued growth from guys like Jokic, Harris, Murray, Trey Lyles, and Malik Beasley is ginormous if Denver wants to make the postseason. If those guys fail to continue to grow as players, it could potentially put the Nuggets on the outside looking in when the regular season comes to a close. 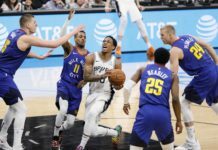 A season that doesn’t end in a playoff berth leaves the Nuggets future uncertain, and its the reason why its undoubtedly the worst case scenario heading into next season. Final record prediction and seed prediction? T.J. McBride: I am going to stick with a record of 50-32 and ending up with the fifth seed in the Western Conference. So much went wrong for the Nuggets in their pursuit of the playoffs last year and they still managed to come away with 46 wins. Adding Will Barton to the starting unit will only make Denver even more lethal offensively and, unlike last year, the Nuggets have a potentially very strong bench unit to hold leads. All of the pieces in place for Denver to have their best season since the 57-win team back in 2012-13. Dev Johnson:I have been back and forth about what I truly expect out of this team and what I feel will actually happen. While this is a team that could hit 50 or more wins on the season, I am going to stop it at 47-35. 50 wins would be extremely impressive and would have gotten them in as the No. 3 seed in the playoffs last year. Getting to 50 would likely get Denver a top-five seed this coming season, but I think they finish with 47 wins and as the seventh seed in the Western Conference. I expect the team to go through a feeling out stage with Barton stepping in as the new starting small forward spot and having to guard opposing small forwards. The team will surely see an upgrade on the offensive end from that spot, but the defense will take a bit of a loss after the trade of Wilson Chandler. Because of that, Denver will end up being the seventh seed this year with their 47-35 record and finally returning to the playoffs. Brandon Ewing: In our schedule roundtable I predicted the Nuggets to finish with a record of 50-32, and I’m sticking to it. In each of Malone’s first three seasons in Denver, the team has improved their record on a yearly basis. After a jump to 46 wins last season, an extra four victories could be what finally puts the Nuggets over the hump in the brutal Western Conference. Missing the playoffs by one game each of the last two seasons has motivated the Nuggets to prove themselves and cement themselves as a playoff team. As brutal as the West is, I still believe the Nuggets could finish as high as the third seed next season. They will have to win more than 50 games to do it, but if they play up to their potential than the sky is the limit. A 50-win season would most likely put the Nuggets in the middle of the pack in the West, with a four or five seed being the most likely outcome.